The City of Ransom Canyon is found 9 miles east of Lubbock, Texas, in Lubbock County. It is a scenic cluster of homes with distinct architecture and geology. This planned community now has a population of 1011 people. Ransom Canyon lies in the south eastern part of famed Yellowhouse Canyon, which is in the upper tributary of the Double Mountain Fork of the Brazos River. Because of its gradual upward climb, this great canyon was easily traversed and, therefore served as a popular entry to, and exit from, the vast Staked Plains (Llano Estacado) of Texas and New Mexico. In 1629, Father Salas of Santa Fe came down the canyon to San Angelo and back again: Captains Martin and Castillo followed the same route from Santa Fe in 1650. Indian tribes, buffalo hunters, Colonel Mackenzie and his cavalry, cowboys with their cattle herds ... these and many others have used the canyon with its fresh water springs as an avenue through history. Ransom Canyon derives its name from the older designation, cañon de Rescate, "Canyon of Ransom"; for it was in this region that Spanish and Anglo traders negotiated with the Comanches for the return of the hostages. of the Johnston family until 1961 when the dream of a town was conceived. The Headquarters Ranch House and the Cowboy Bunk House (and bath house) were sheltered under the huge cottonwood trees on East Lake Shore Drive. Water for the bath house was supplied directly from the spring that is still flowing there. The spring at the upper end of Brookhollow is shown on the oldest maps as "Pig Squeal" spring. No doubt wild hogs were trapped in this box canyon, hence the name. Indian relics are still found, and at least one Indian burial site has been found in rocky ledges on the west side. The original plat of a subdivision designated as LakeRansom Canyon Addition to the County of Lubbock. The original plat of a subdivision known and designated as Lake Ransom Canyon Addition to the County of Lubbock, Texas was filed for record September 20, 1965, by Craigmont Building Co. In 1965 the dams and the roads washed out and Walter Mischer, then the Chairman of Allied Bank in Houston, approached Harold Chapman and Ray Chapman to take over the development. The development assignment went from the Walter Mischer Co., to Mischer Craigmont, to Penn Central and Investors Diversified Contractors to Lake Ransom Canyon, Inc. a corporation owned by two brothers, Harold Chapman and Ray Chapman. Lake Ransom Canyon, Inc. still operates as a real estate office in the city, under the active management of Ray Chapman's son, Jack Chapman. December 12, 1977, the citizens of the District voted to incorporate under the name of "The Village of Lake Ransom Canyon." What is now the City of Ransom Canyon began June 16, 1964 as the Yellowhouse Canyon Water Control and Improvement District, governed by a Board of Directors elected by the community. The Property Owners Board was also a government entity established by the Deed of Restrictions responsible for many functions now under the control of the City Council. May 13, 1982, ordinance # 68 dissolved the Water District, transferring all assets and liabilities to the Village. April 13, 1982, ordinance # 66 was adopted that stated that the population of the Village had reached 625, and, according to Vernon's Annotated Civil Statutes, the village qualified as a Town. 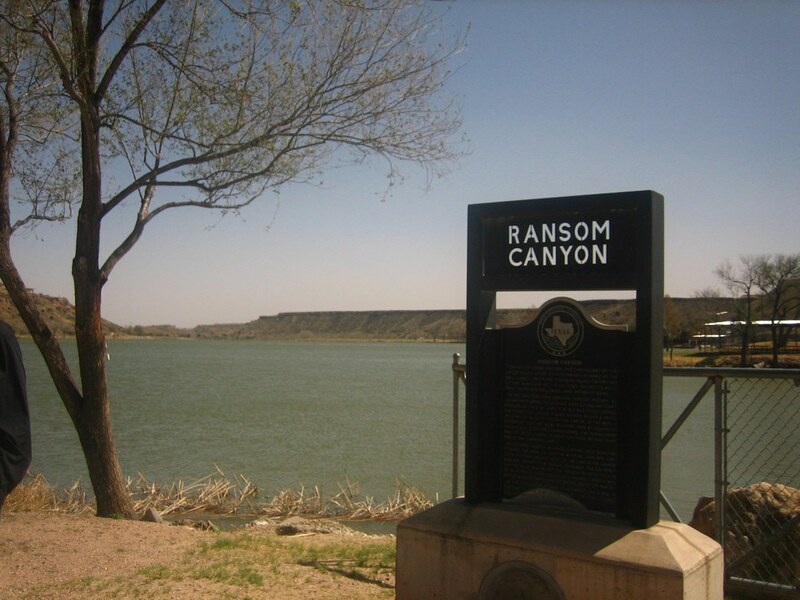 Therefore the name of the Village was changed to the TOWN Lake Ransom Canyon. Resolution # 27, April 10, 1984, verified that an election was held April 7, 1984 that, by a two-thirds margin, changed the name from LAKE Ransom Canyon to Ransom Canyon. With the incorporation of the Town, a new taxing authority was created. Property Owners now pay taxes to Lubbock County, either Roosevelt or Slaton Schools, and City taxes to the Town of Ransom Canyon. State law provides for the Central Appraisal District of Lubbock County. This District appraises property uniformly, sends out the appraisal roll for all the entities and prints the tax statements for all of the entities. But the City Council has chosen to appoint a tax assessor/collector to collect City taxes. Lubbock County Appraisal District collects taxes for the County and school districts. Ransom Canyon is a general law city, governed locally by an elected City Council consisting of a Mayor and five Aldermen. (8) Passing of ordinances to provide a better quality of life without exerting excessive control over the residents in the Canyon. The City Council meets on the second Tuesday of each month at the Fire House at 6:30p.m.